Key Features:Blue OG produces a high yield and a very subtle smell. It has a short flowering period, which makes it ideal for growing in more challenging climates. Key Features: This easy to grow hybrid has high resistance to moisture, short flowering period (about 55 days) and long-lasting, strong but balanced cerebral effect. To create this perfect combination of Indica and Sativa G13 Labs Seeds used two champions – Blueberry and White Widow. Each one of them provides something special into Blue Venom what makes it such exceptional strain. White Widow provides a strong gene that produces compact, resin-covered florets while the Blueberry contributes its special taste of forest fruits. This easy to grow hybrid has high resistance to moisture, short flowering period (about 55 days) and long-lasting, strong but balanced cerebral effect. Its massive, broad flowers are fully covered with trichomes and produce up to 1,100 g/plant. Blue Venom is suitable for growing outdoors in mild Mediterranean regions as well as in greenhouses. Key Features: Blueberry Gum #2 is an improved version of stability, strength, amount of yields and buds and resin production of Blueberry Gum. All the features got doubled. We are pleased to introduce the new version of one of our best-selling strains, Blueberry Gum. This new improved version grows wide with evenly spread branches. It is a superb choice for the Sea of Green method, but really great for any method of growing. Blueberry Gum #2 is suitable for both indoor and outdoor cultivation. By improving the previous version we have obtained the strain which is more stable and powerful. Its yields are generous and buds are large, dense and covered in gorgeous crystal resin. The flavour and aroma are fruity with citrus notes and as mouthwatering as you think! Hard hitting effect will relax both the body and soul! The Indica-dominant Blueberry Gum variety is the result of a cross between a Hash Plant and a Blueberry. It is one of the few varieties that allow growers from colder and more mountainous regions to achieve excellent results and produce quality harvests. These can reach 1,100 g/plant outdoors, and up to 500 g/m². All this is thanks to the world-renowned Blueberry. It is a tough plant that has a short flowering period of around 55 days. It produces a calming, relaxing effect, and its hint of fruit and delicate aroma of chewing gum will make you come back for more and feel like you never want to be without it. When subjected to cold, night-time temperatures, it reveals a beautiful purple colouration. It produces dense, compact florets that are covered in a delicious resin. The seeds of Blue Venom marijuana do not require any particular food in order to get the very most out of them. The plant’s subtle aroma is reminiscent of earth and fruits of the forest. It has a potent, relaxing effect that is long-lasting, and it is an ideal accompaniment for a pleasant evening following some heavy physical or mental effort. This great Sativa is a combination of genes from the old-school Afghan variety and the extremely well-known and award-winning Cannalope. These genetics result in the champion variety that we now present you and that we have named Chocolate Heaven. Its strong aroma of sweet fruit with a subtle hint of dark chocolate will carry you off to the most idyllic beaches. This Chocolate won’t leave a mark on your figure, but it will affect your mood, brightening up your everyday business just like a real chocolate. It produces a high yield, as is to be expected of a variety with such famous parents. 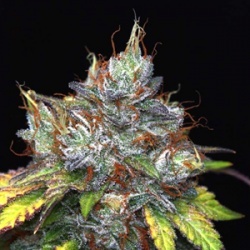 It is also a high-growing plant, so lovers of small strains will need to choose other genetics. Nonetheless, this is a variety that has a lot of promise as it is easy to grow and can produce dense, heavy flower heads in about 65 days. Key Features: Fast finishing, easy to grow, classic sativa variety with dense crystal filled buds. This Cinderella variety is very well known as a fast-growing Sativa (55 days). Its Grapefruit and Pineapple origins provide its taste and aroma with a unique, exotic touch. These origins are the Jack Herer and Haze varieties. They give a cerebral effect that allows for a complete relaxation, making this trip even more pleasurable. Cinderella 99 has some 500 g of precious material. So, not for nothing is it called the ‘Holy Grail’ of varieties. Its short height and fast grow time mean its qualities can be enjoyed by all. G13 Labs Gigabud cannabis seeds produce compact monster buds covered with fat, thick resin. Gigabud is fast flowering, compact and is easy to manicure making this an ideal variety for the indoors. Gigabud is compact but can reach 1.5m if left unattended. These gigantic buds have a deep green color, are super heavy and dense with a rich, aromatic sweet hash flavor. G13 Labs Gigabud has a long lasting body mainly indica-type feel. Harvest time outdoors is September/October with flowering time between 5-6 weeks. Gigabud produces a high yield. Midnight Kush by G13 Labs is a mainly indica strain with an extremely psychedelic effect. This strain has the potential to grow large when given the space, her cannabis seeds produce almighty rock hard resinous buds. Midnight Kush has a tendency to go a fantastic midnight purple colour in cold conditions. Due to one of the parents being an outdoor variety of Blueberry, Midnight Kush has a great resistance to mould. The overall smell of this strain is of mouth watering fresh sweet fruits. Key Features: Easy to grow, excellent yield, and long and large sticky flower heads. Strong odour, especially during flowering. The Cheese variety from G13 Labs is Indica-dominant and a mixture of UK Skunk and Afghan. It is a hybrid with unique features that will impress even the most gourmet of tastes. This plant, which has an excellent yield, will take you to a state of euphoria that hints at a narcotic high. With these two genes already high in THC, together they form a variety whose earthy taste combined with some delicate cheesy hints will have you asking for seconds over and over again. Of medium-to-tall height and radiant appearance, it is easy to grow and gives magnificent results. It produces long, very large and sticky flower heads, and is perfect for rainy autumn days, providing relaxation and a pleasant sleep. It is ready in 7 to 8 weeks, and its outdoor yield may reach up to 1,000 g/plant while indoors it can produce 500 g/m². Do not forget to use anti-odour filters as it readily gives off a penetrating smell that gets everywhere, unwanted places included, leaving an obvious scent of mature cheese and incense. The Cheese variety produces a reasonably balanced, stimulating effect that has a relaxing, calm finish. This is a cross between the highly renowned Skunk variety and the Northern Light variety grown by the team at G13 Labs. It is an Indica-dominant medicinal variety par excellence. The sweet and decidedly intense taste of Skunk is very notable and helps with relaxation. Beginners show great interest in this hybrid as it is easy to grow and produces a high yield, reaching up to 900 g outdoors. It is ready in 55 to 60 days and may be harvested in early October. It is an exuberant plant that produces large flower heads and few leaves, making it easy to handle and manicure. This Indica-dominant OG Kush variety is the result of a cross between a citrus-tasting Thai variety and another from Pakistan, with hints of the strong Diesel variety. It is a high-quality but, at the same time, very exotic variety, and is extremely popular in the USA. OG stands for Ocean Green – a legendary variety that was grown in California many years ago. It is a medium-sized, easy-to-grow plant that has a short flowering period. It produces compact, resinous and strong-smelling florets, so we recommend using anti-odour filters. OG13 marijuana seeds are perfect for growing indoors, especially in small spaces and when using the SOG method. It also performs well in mild and Mediterranean regions. It has a fruity aroma and intense taste with hints of Diesel and fruits of the forest. Its potent cerebral effect can develop into a very pleasant and relaxing stone, and it is an ideal variety to have when resting. This improved Sativa-dominant variety is the product of the union between our Pineapple Express and a selection of Skunk. The result is a plant that is resistant to moisture and perfect for hostile climates. Given its short flowering period of 45 to 50 days, it can be grown by anyone. It produces large, bulky, resin-covered florets. Its great performance makes it an unquestionable champion – one that can reach up to 2.5 m in height! It will produce 900 to 1300 g/plant and 700 g/m². It grows as a slender plant with thin leaves and it tastes of lemon, pine and spices. The Purple Haze plant is a vigorous hybrid that has inherited the best features of its parents, a Haze combined with a huge resin producer. The result is a beautiful plant that produces long, dense flower heads covered in trichomes. It is darker than most Sativas and closer to the dark green of the Afghan varieties than the lime green of their equatorial counterparts. Its subtle aroma becomes much stronger and richer when its plentiful flower heads are harvested. It has a short flowering period of 50 to 65 days, and over time acquires a lovely lavender colour. Its yield depends on the care afforded to it. G13 Labs Purple Haze is a cannabis hybrid with a soaring Haze high mixed with thick resin production of the finest Indicas. Not too tall, Purple Haze is a beautiful plant, with long running buds that produce pleasing dense and a sticky coating of trichomes. Purple Haze is darker than most Sativas more deep green of Afghanis. When exposed to lower temperatures at the end of flowering, leaves and calyxes can rapidly change colour from dark green to lavender or violet and sometime blue. G13 Labs Purple Haze smells subtle when plants are growing, becoming rich and sharp when buds are harvested and dried. Purple Haze flowers between 50-65 days and produces a medium yield.